That class had insisted that Obama’s socialism would work and that no one would be poor and no one would be rich, a great equalizer. 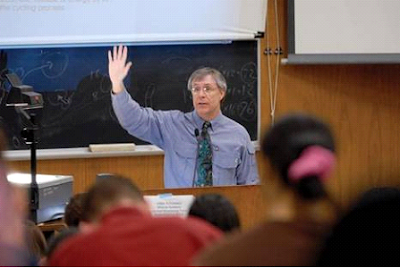 The professor then said, “OK, we will have an experiment in this class on Obama’s plan”. All grades would be averaged and everyone would receive the same grade so no one would fail and no one would receive an A. The students who studied hard and wanted an A were upset and the students who studied little were happy. As the second test rolled around, the students who studied little had studied even less and the ones who studied hard decided they wanted a free ride too so they studied less. All failed, to their great surprise, and the professor told them that socialism would also ultimately fail because when the reward is great, the effort to succeed is great; but when government takes all the reward away, no one will try or want to succeed. Could it be any simpler than that? Hi. It’s me again. Stepping back up on my soapbox to talk to you about yet another bill up for approval in Congress. I’m talking about the HealthCare Reform Bill, or H.R. 3200â€”â€œAmericaâ€™s Affordable Health Choices Act of 2009â€. Folks, this bill is dangerous for many reasons, including the abortion on demand mentioned here. In addition to all of that, there is actually a clause that states people who choose not to carry insurance could be subject to FINES. What is happening to our freedoms, Americans? If you believe this is an egregious wrong, as I do, please contact your senators and congressman as a concerned citizen. I know not all of us are politically active; but I just have to pass this on to you and ask you to pray about how God would want us to act and to pray. More details at http://www.hslda.org, if you’re interested. May God have mercy on us and on future generations of this great country! Also visit D James Kennedy’s site to add your name to the petition to stop this bill right here.